ATD Fort Worth/Mid-Cities - December 2018 - Michael Hoffman : Owning Your Skills of Influence! December 2018 - Michael Hoffman : Owning Your Skills of Influence! Owning Your Skills Of Influence! We have all had bosses that, if asked, we would gladly run through a burning building. And we have all had bosses that, frankly if asked, we would rather go down with the building. Why is that? Why are there times when we are ON as trainers and times when we want the training to be over just as much as your participants do? It is NOT your pheromones that influence! It’s what you say and do and when you use them as skills… THAT is when you have real influence. When was the last time you took time to refresh your Training and Development Soul? From creating rave reviews to building strong team culture, how you influence and have impact on others in your interactions is one of the greatest skills we bring as professionals. Through laughter and lots of interaction, veteran humorist trainer and professional speaker Michael Hoffman, will spend this night exposing and igniting the skills that make you effective as a leader and a trainer. Refresh your training and development soul, Join us for a hilarious, skill filled, memorable night. 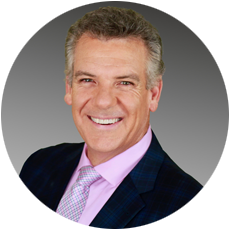 Michael is a Certified Speaking Professional (CSP), which means he’s an expert at WOWing his audiences and delivering exceptional value.